Your shipping processes should not be a bottleneck in business operations. Adding more personnel or reorganizing space is not necessarily the best use of your time and money. What’s required to speed things up is greater efficiency. 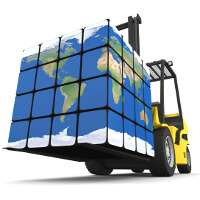 You can start by assessing your current shipping procedures from start to finish. Identify any real problems that need fixing, tools that need updating, and especially manual operations that can be automated. In many companies there is an unfortunate situation where delays and mistakes get passed along down the chain, and the shipping department is expected to catch errors or work last-minute miracles to get things out the door, after which you have no more control. 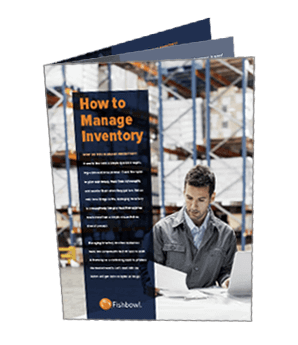 Other employees and even managers may have no idea of the burden shipping departments face on a regular basis. You can save your shipping department many headaches by providing technology that optimizes their time and effort. Here are four important tips for upgrading your shipping process. The exchange of data between shipping software and other sources like CRM or sales orders is necessary to maintain accuracy on both filling and shipping customer orders. All information should be captured at the order entry level to avoid uncertainty when orders are shipped. Shipping systems should not only be able to spot and flag discrepancies in package addressing, but also validate additional flags, such as “Residential Delivery,” “Free Freight,” or specific shippers or shipping requirements. Order systems should also provide a certain level of customization that allows new shipping codes to be created and saved for customers who occasionally request them. Shipping/order systems should also have a strict policy on packaging. All products should be listed in the order system along with weights, appropriate boxes which set dimensions, and a variety of established combinations for packaging. This requires package dimensions and shipping weights to be preset within the order system. There are even systems where a printed barcode on the box references fixed dimensions, and capturing the weight on the scale produces a barcode label that can be instantly affixed to the box, so that the information for both is in the system. Totals can be automatically calculated for every order and shipment. Work with your box manufacturer or software vendor to find a solution that fits your needs. The carrier you choose should be based on saving you money. This will also save the customer money. If you are using or considering a variety of carriers, you should look for software that allows you to “price shop” when selecting shipping alternatives during order input but before invoicing. You can find solutions that will automatically check shipping costs based on the rates of the various carriers in the system and the weights and distances involved. These should also be captured by the software. If your company is quoting standard rates and failing to charge for later upgrades, you could be losing money. Make sure that all shipping methods are updated on the invoice. Selecting 3rd-party freight services, such as IntegraCore, could also spare you a lot of headaches, and save on costs and cost-capture. Perhaps most importantly, it will save you time and effort that will be better spent on other aspects of the business. Professional shippers with the tools already in place can ensure you’re getting charged only for competitive (often lower than standard) shipping rates. Service may also include parcel preparation, loading, tracking and confirmation, and claims processing. Automation with quality data saves shippers time. Outsourcing saves even more, while ensuring a high level of service quality. Take the necessary time required to analyze your production rates. Hire new employees or incorporate additional training to speed up the work flow.